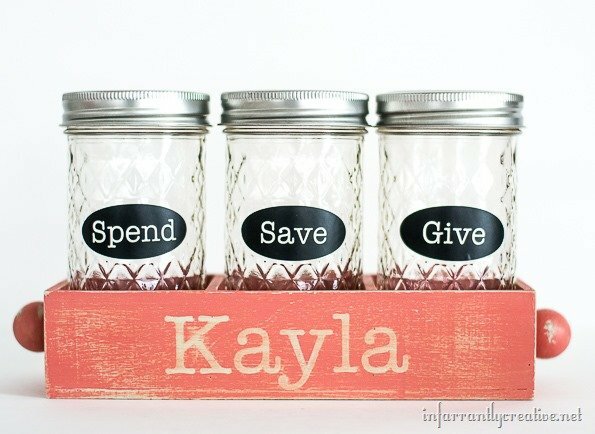 Create your very own allowance jars for kids. 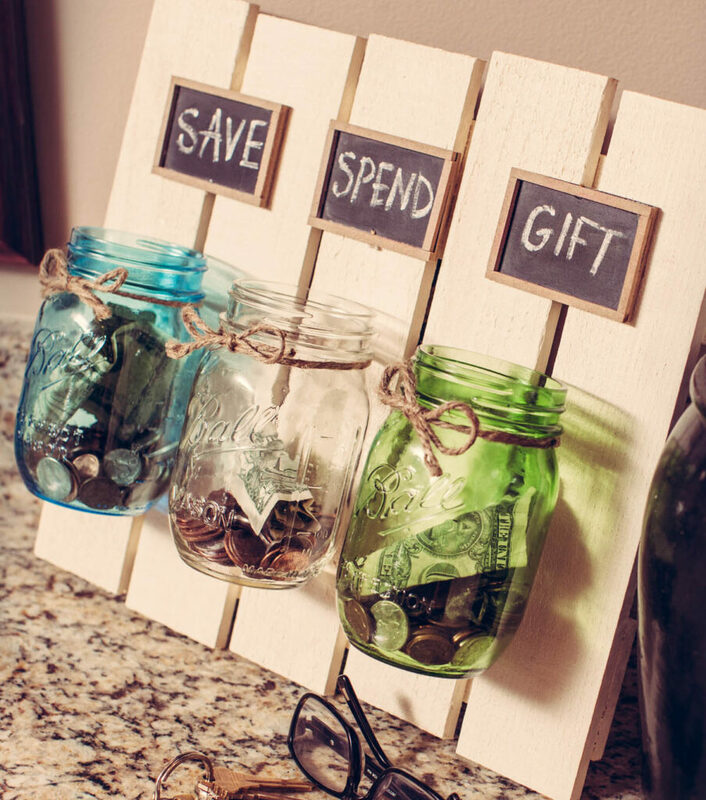 Here are six ideas to get you started. 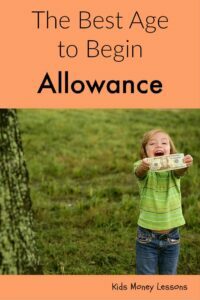 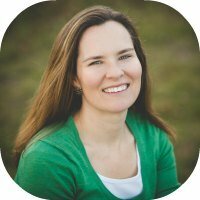 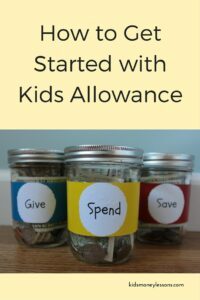 Giving kids an allowance is a great way to teach kids money management. 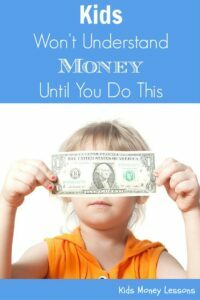 It’s hands-on learning at it’s best. 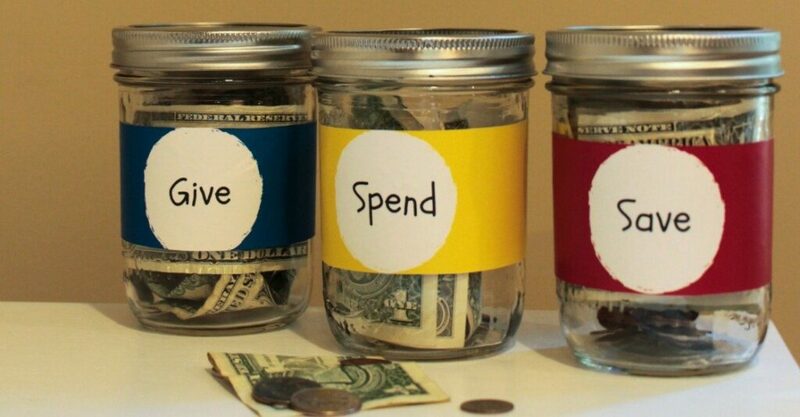 And if you’re already ready to begin giving your kids an allowance, add a little creativity to the experience by making your own allowance jars. 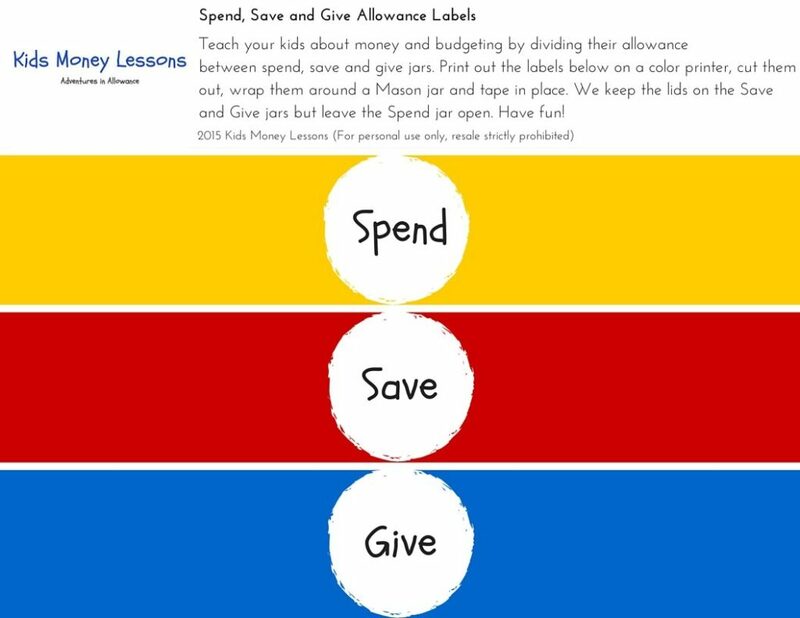 From Kids Money Lessons: Print out these primary colored labels, wrap them around Mason jars and you’re kids are ready to begin basic budgeting – separating their allowance into Spend, Save and Give jars. 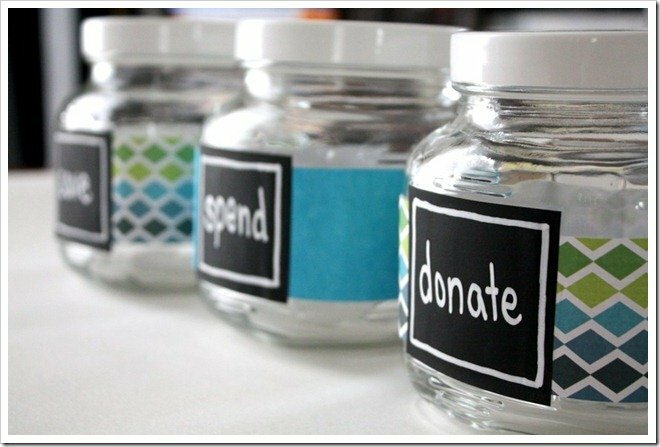 In addition to creating Spend, Save, and Give jars, Infarrantly Creative also provides instructions on how to create a wooden box to keep the jars neatly in place. 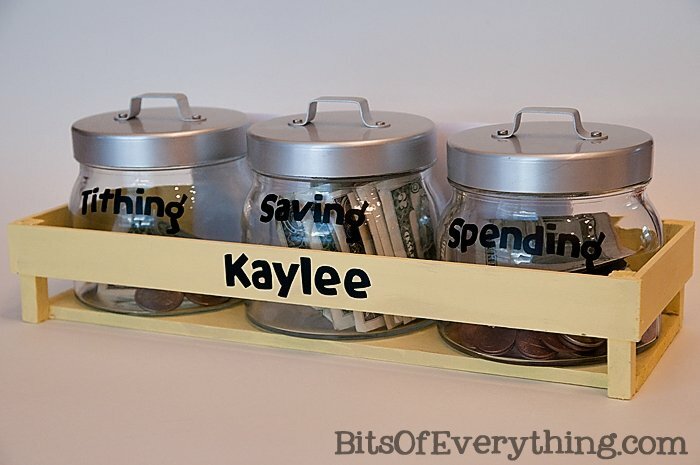 Bits of Everything shows how to create a wooden box to hold Spend, Save, and Give jars.